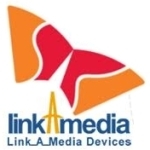 Link_A_Media, recently graced with a new design win and serious accolades for its new SSD controller, was acquired on June 20 by Korea’s SK Hynix Semiconductor. According to the Wall Street Journal, SK Hynix paid $248 million for the company. DensBits, a flash memory controller company, has just introduced its new DB3610 “Memory Modem” eMMC controller for 3-bit or TLC flash. The controller is the first to use DensBits’ new technology which the company claims can coax better reliability out of 3-bit flash than most controllers can out of 2-bit MLC, to provide important cost savings to OEMs. Read and write performance is also said to be nearly on a par with 2-bit MLC.